Fennel is an easy growing vegetable, or herb, depending on the variety you grow. It has a light, licorice flavor that blends well with chicken, beef or turkey. Crunchy and even slightly sweet, fennel is commonly associated with Italian cuisine, but can also be found all over Mediterranean cuisines as well. When choosing fennel at the store, you will want to look for those that have firm, solid bulbs. Avoid any with signs of splitting, bruising, or spotting. 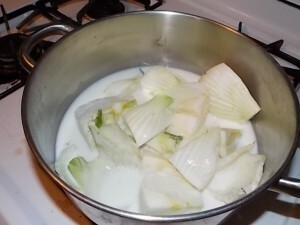 Fennel is easy to cook, but to lighten the flavor a bit, it’s best to simmer it in milk first. If you are dairy free, you can simmer it in coconut milk. This Chicken Sausage And Fennel Casserole is a winner in my family, even among our picky eaters. 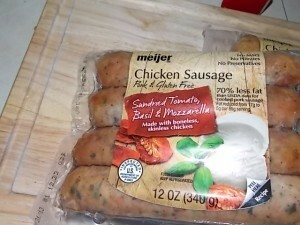 It’s classically made with ham, but since we don’t eat pork, I subbed chicken sausage. You can omit the meat altogether and make this a vegetarian meal as well. 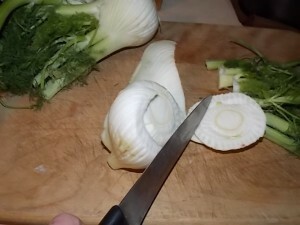 Cut the ends of the fennel and top fronds off. Quarter the fennel, and “pull apart” so each section is by itself. Simmer in 1 cup of the milk for about 15 minutes. 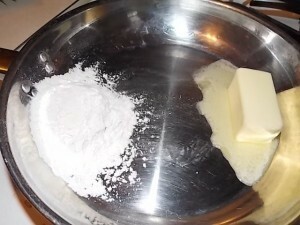 Meanwhile, melt the butter and flour together in a pan, to form a roux. When it’s all nice and golden, add the remaining 2 cups of milk. 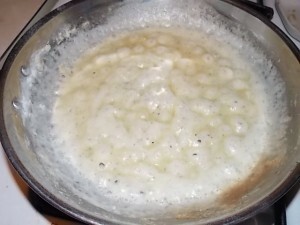 Simmer together to form a white sauce, or “bechamel”. Add sliced sausage to pan, drain fennel, and layer on top. Add the white sauce, and gently stir. 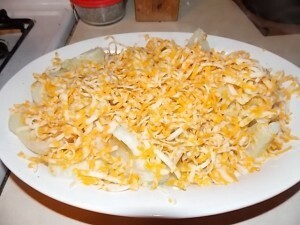 Cover with cheese, and bake in 375 oven for 30 minutes. Have you ever tried fennel? 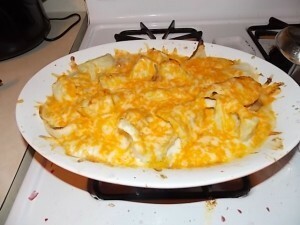 Do you think your family would enjoy it in this casserole? Be sure to pin this for later! I really love fennel but I don’t have a lot of recipes to use it in. This sounds yummy, thanks!